I would like to share with you the issue I experienced on my domain controllers environment last week, some users and IT guys complained about that their login takes time to log in to the domain. 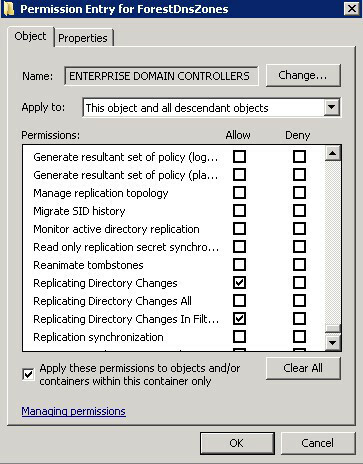 Please apply to “This object and all descendant objects” and checkbox the “Allow checkbox to Replicating Directory Changes In Filter” and also select Apply these permissions to objects and/or containers within this container only. 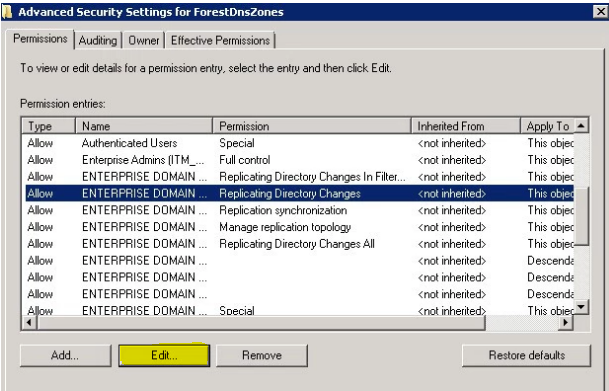 After you finish this step, please repeat all steps also for “DC=DomainDnsZones,DC=Pelegit,DC=co,DC=il”and then run “repadmin /syncall” and those errors are gone!